Q&A Includes: What is the meaning of the unknown languages I am speaking in my sleep? Could you expand on the information about the 13 humans that are living upon spaceships that was discussed last weekend? What if I am separated from my children during a disaster? "Where" did my children come from? Are the plants and animals on our world going through a transformation as well? Are the entities I communicate with made up? I have an aversion to seafood, it makes me feel like I am "eating something of myself"… why? 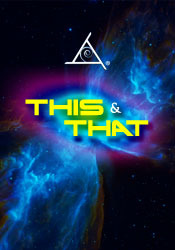 How does the concept of "This and That" relate to the Earth / Essassani relations? How can I communicated with my SPIs? (Simultaneous Parallel Incarnations) Redefining the creative process. How can I master the law of attraction? How can I enhance my ET connections? How can I find the person I am going to marry? Is medical marijuana beneficial? Why are some people in my reality experiencing dizziness? How can I learn more about the themes I chose to experience? For how long has humanity experienced more negative energy than positive? What changes will take place in the individual and mass consciousness' shifting? Is the future created from the past? Updating the idea of karma. How can we upgrade our traditional marriage vows? Do you have marriage vows on your planet? Redefining patience. How can we let go of things that aren't our true self? Could you share some more about the Mt. Shasta energy? Is Atlantis located underneath Mt. Shasta and is Mt. Shasta hollow? Is there heightened energy in Redding CA? How can I better communicate with my cat?